Minimalism has taken hold of a generation of new homeowners. Many young families may move multiple times before finding a forever home. Throughout the sorting, packing, loading, moving, and unloading they realize that much of what they carry with them is not necessary for comfortable living. Many folks have accepted the challenge to pare unused and cluttering items from their lives. Whether you are planning to move soon, just moved into your forever home, or are somewhere in-between, you can benefit from paring down and decluttering your life. Proponents of decluttering from Marie Kondo, star of Netflix&apos;s hit show, "Tidying Up With Marie Kondo," to Genevieve Parker Hill, author of Minimalist Living: Decluttering for Joy, Health, and Creativity, believe that reducing your home’s clutter, overflow, and disorganization help to free up your time, energy, and happiness. The concept of removing disorganization from your life sets you up to more effortless living. You can join an online challenge ranging anywhere from three days to six weeks to fit your schedule. Alternatively, you can make a pact with friends or siblings to cheer each other through it or challenge yourself to carry out a list of decluttering items in one day or over several days. If you take on the challenge by yourself, create a suitable reward for your efforts. Before you try to clear your home of clutter, take some time to organize your thoughts first. Write down what you hope to achieve by decluttering: more space? More peace? Better time management? Note where you want to start. You may be able to declutter your entire home, but before you bite of that enormous chunk, create an order of priority. Is the hall closet most important? The pantry? Perhaps your biggest headache is your closet, attic, or garage. Start with that one place. If you try to do too many spaces at once, you may end up discouraged before you start. Set aside the day or days for your challenge. Block off your schedule. Putting it off got you into this position in the first place and any interrupted to your challenge dates might tempt you to indulge in procrastination once again. Discard – items too used or useless to give to a charity or thrift store need tossing. Do not donate anything beyond its useful life. At the end of each day, you will discard these items so that you avoid the temptation to put them back in your house. Recycle – if you no longer use it for its original purpose, but you know you could use it someplace else, put it in the “recycle” box. Give – items you no longer use, but that someone else could go in the “give” box. You can donate these to a charity or thrift store or give them to family members or friends that want them and will use them. Immediately place this box in your car to give away as soon as possible. Keep – this is what goes back in this location, or into another place. Once you clean out the area, return to it only the items that belong there. If you have other keep items, move them to the room or location they belong in so that they no longer clutter up your space. When you finish, reward yourself. Then, set up the next challenge. If you plan to put your home on the market, to give a deadline to your challenge, have your real estate agent set an open house date. 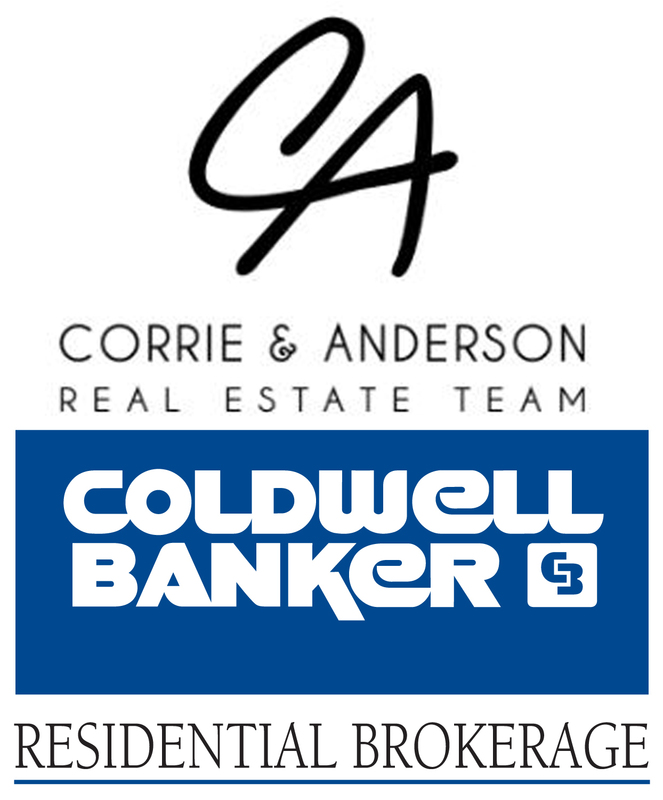 Hi, We're Corrie & Anderson Real Estate and we'd love to assist you. Whether you're in the research phase at the beginning of your real estate search or you know exactly what you're looking for, you'll benefit from having real estate professionals by your side. We'd be honored to put our real estate experience to work for you.